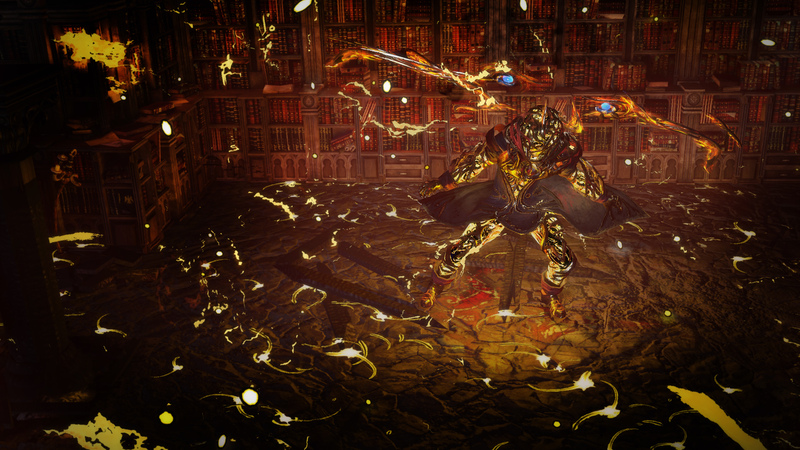 To help Cavas remember his past, you will find fragments of his decaying memories throughout Wraeclast. Fight your way through the monsters that inhabit his memories in order to activate stabilisers before the memories collapse around you. Stabilised memory fragments can be pieced together to navigate the void in Cavas' mind and reach his distant memories. But beware, these fragments can only be explored a limited number of times before they collapse completely, so plan your path carefully. Within Cavas' distant memories are many types of valuable rewards. As you progress deeper within the recesses of his darkest memories, his mind starts to synthesise encounters with dangerous and twisted manifestations. 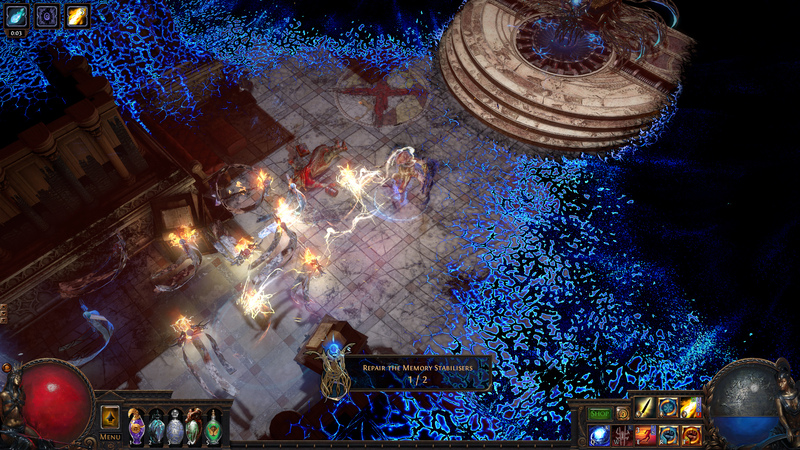 Decaying memories yield Fractured Items with broken mods that are locked in place. While these are not generally useful as-is, you'll find occasional Fractured Items that have excellent locked mods, resulting in much easier crafting. In the Memory Nexus lies the Synthesiser, a powerful device that lets you destroy Fractured Items to create base types with custom implicit mods. These implicit mods are somewhat controllable by careful choice of input items to consume. 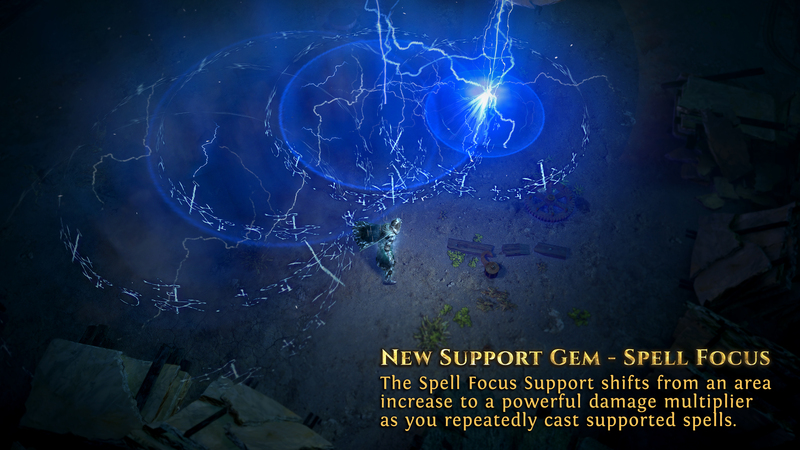 Synthesis also contains a complete balance overhaul of all spells in Path of Exile, six new Chaos and Holy spells and significant incentives for hand-casting including several new support gems. 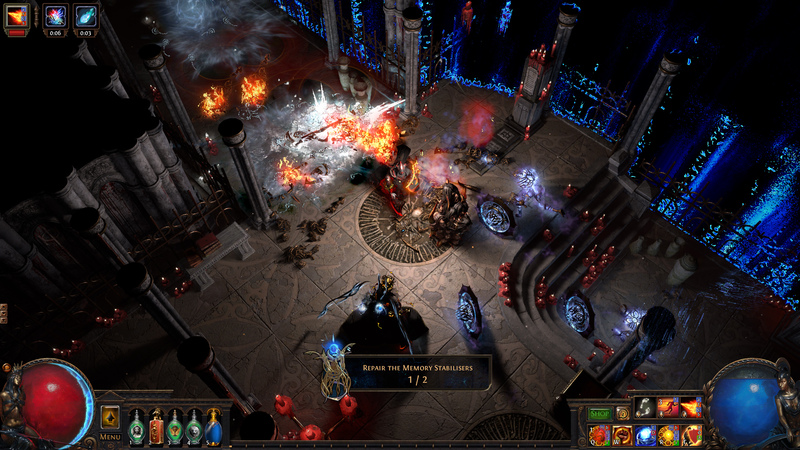 The new Holy Spellcaster archetype features Path of Exile's first Holy spells, including Divine Ire, Purifying Flame and Wave of Conviction. 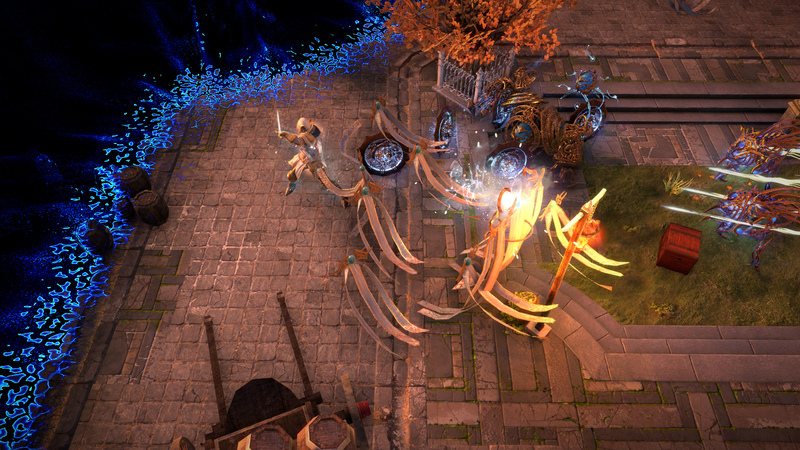 The Chaos Spellcaster archetype not only provides an easier introduction to Chaos spells with Soulrend, but adds many new tools to Path of Exile's existing arsenal of Chaos spells. In addition to Fractured Items, Synthesised Items and over a dozen new Divination Cards designed by our supporters, Path of Exile: Synthesis contains 16 powerful new unique items with a focus on impacting the way players play Path of Exile. Synthesis also includes many other improvements: The content from December's Betrayal expansion has been integrated into the core game, the layout of the Atlas of Worlds has shifted once again, and a lot of Path of Exile's music has been overhauled. Check out the full patch notes in early March for more information! We're also launching two sets of Supporter Packs alongside Synthesis - the Sunspire and Doomguard Packs. There are two price points available for each and they feature masses of points alongside new Armour Sets and other exclusive cosmetic microtransactions including new Hideouts! 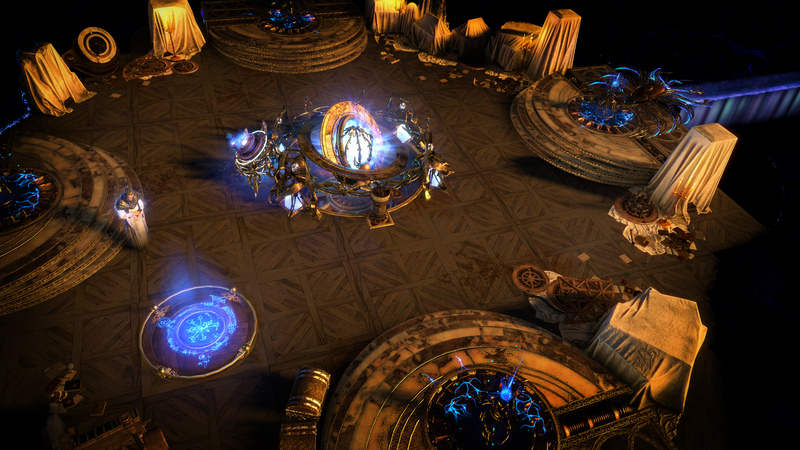 Path of Exile: Synthesis will launch on March 8th (PST) on PC, March 11 on Xbox One and mid-March on PlayStation 4.